As well as the new iPhone 6, both the iPad Air 2 and the iPad Mini 3 are said to come with Apple’s TouchID fingerprint sensor, and now a photo has appeared online of what is reported to be the iPad Air 2 and the iPad Mini 3. 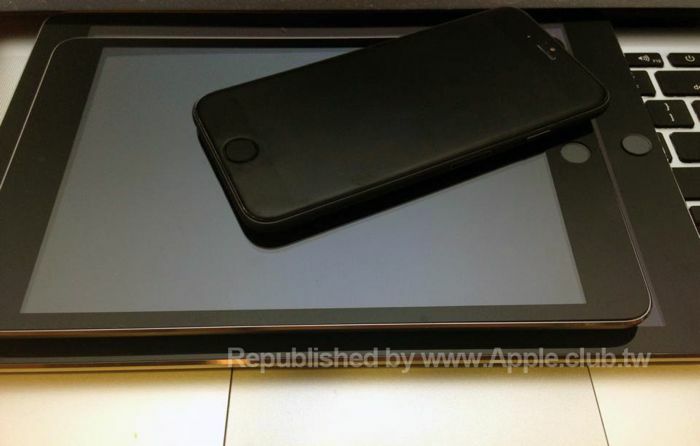 Both the iPad Mini 3 and the iPad Air 2 in the photo above show the devices with Apple’s TouchID fingerprint sensor, both tablets are also said to come with a re-designed speaker grille and recessed volume buttons. This new photo looks similar to the dummy unit we saw of Apple’s second generation iPad Air recently, and as well as TouchID both devices are said to come with a number of upgrades. Apple is rumored to launch a new 64-bit Apple A8 processor in the iPhone 6, we are also expecting the company to use this processor in the new iPad Mini 3 and also the iPad Air 2. On top of that we are expecting both versions of the new iPad to also come with more RAM than the current range. 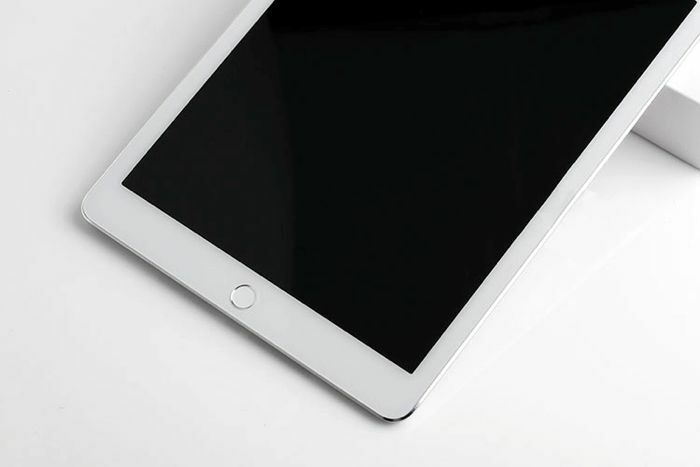 The cameras on the iPad Air are also rumored to be updated, and Apple may use a 5 megapixel camera for the front camera and a new 8 megapixel camera for the rear camera. The iPhone 6 is said to come with a new camera, possibly 8 megapixels, and it will come with electronic image stabilization, plus a range of new features, this camera may also end up in the new iPad Air. As yet there are no details on when Apple will launch their new range of iPad Air and iPad Mini tablets, as soon as we get some more information, we will let you guys know.